HEALTHY AGING is a one of a kind science-based formula that helps protect our DNA from oxidative damage due to unrepaired accumulation of free radicals in our bodies, which is at the forefront of the aging process. As a person ages there are changes- both externally and internally. 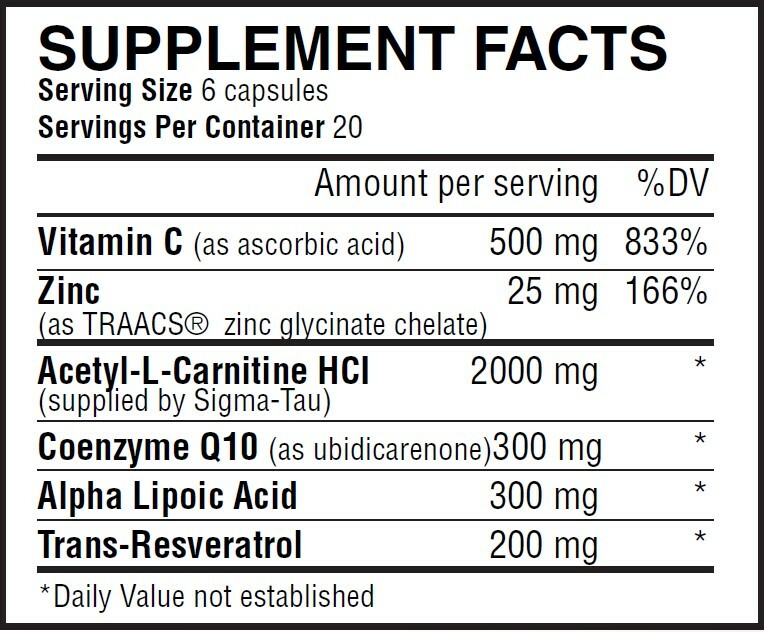 Nutri Supreme Research has developed a very comprehensive powerful formula using Acetyl-L-Carnitine manufactured by Sigma-Tau, which is a pharmaceutical manufacturer based in Italy. Acetyl-L-Carnitine and Alpha-Lipoic Acid pass the blood-brain barrier, enhancing alertness and mental focus. In combination with CoQ10 and Resveratrol, this powerful formula works synergistically in maintaining a healthy brain and promoting cellular vitality.